Designing a wearable for serious athletic training. 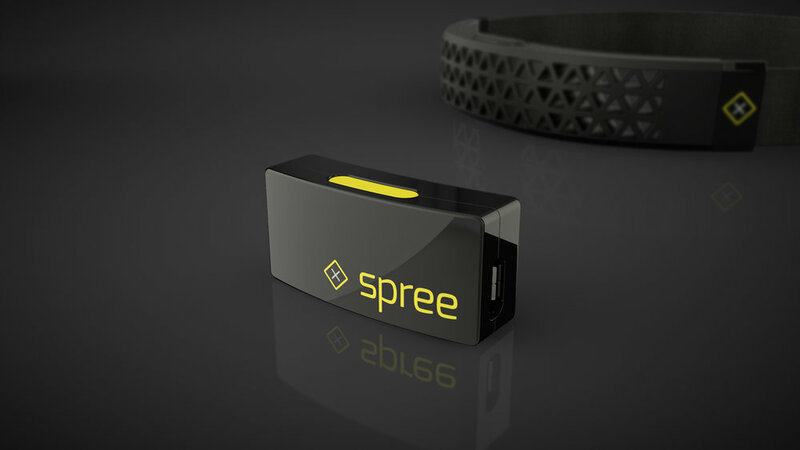 During workouts, Spree tracks biometric information and streams it to a smart phone app wirelessly via Bluetooth. Since users can view an analysis of their progress in real time, fitness goals become much clearer and more tangible. Additionally, the water resistant silicone band helps channel sweat from users eyes while holding the sensor in place. Jointly developed with IDM Tech.